Brand success requires pharma companies to identify and meet the needs of all those involved and communicate where the clinical and economic values lie. Market access planning is a key challenge for the global pharmaceutical industry, with healthcare systems facing growing cost constraints and payers increasingly dominating access decisions. For companies to achieve brand success, they must understand the needs of the individual stakeholders (patients, healthcare professionals [HCPs], providers, payers, and policymakers) and how each assesses clinical and economic value, and then communicate where the value lies in a new product. Identifying the different goals and priorities of the different stakeholders requires an understanding of what is, without doubt, a complicated matrix. Payers, HCPs, patients, and other stakeholders have divergent views on what value means to them. In a recent Quintiles-sponsored survey conducted by the Economist Intelligence Unit, more than half of the 400 executives polled said differing perceptions of value are the biggest obstacle to demonstrating a product’s worth. Companies are further challenged by having to align their products with moving targets and assessment criteria. 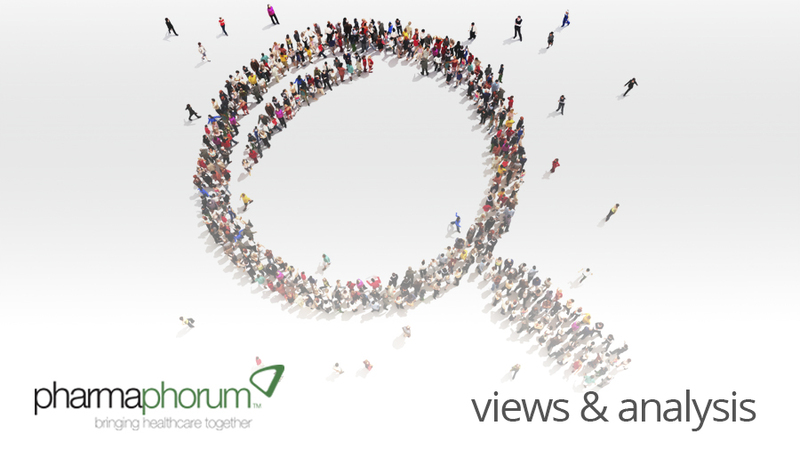 In the changing UK market, for example, local evaluation procedures across commissioning groups, often following a positive NICE review, have led to variations in product uptake. In Germany systems have been introduced that tie a drug’s price to evidence of additional benefit (usually in terms of effectiveness), while a number of markets, including Sweden, Denmark and the UK, are now seeking evidence of real-world health outcomes. How are companies adapting to address market access challenges? To answer this question, Quintiles commissioned a study among 133 pharma, medical devices/diagnostics and biotech executives from a range of functions across Europe and the US, which revealed some interesting findings. Respondents were asked to choose their top three internal market access challenges from a list of options: more than 39 per cent cited ‘Demonstrating value in real-world environments’ as the biggest issue, followed by ‘Monitoring value in the real world’ (29 per cent), and then ‘Generating and securing the right health outcomes data’ (24 per cent). A further two of the top seven internal challenges identified were value-related, with the sixth and seventh key issues being ‘Assessing commercial value in early clinical development’ (17 per cent), and ‘Developing the value proposition’ (17 per cent). As well as problems around product value, respondents also cited ‘Access to payers’ and ‘Lack of funding for innovation’ as major issues. It is perhaps not surprising that value was also cited as the major external challenge for market access. Many (42 per cent) respondents considered ‘Demonstrating value in real-world environments’ to be the greatest hurdle. ‘Lack of funding for innovation’ (25 per cent) and ‘Access to payers’ (23 per cent) were again considered to be significant issues, this time taking second and third place among the list of challenges. Interestingly, the top four solutions given by respondents to both the internal and external challenges were the same: ‘Earlier implementation of your market access strategy’; ‘Clearer external guidelines by payers’; ‘Better operational integration between departments’; and ‘Better sources of data’. These findings show the breadth of the divide between the external market access stakeholders’ desire for demonstration of value and evidence of real-world outcomes data, and pharma’s ability to provide compelling evidence of the value and economic justification for a given drug. For pharma, the market access reality is a dramatic shift in the commercial landscape. To ensure market access is integrated with other functions and across geographies, and is an early part of future drug development, companies must understand what is required, internally and externally, to drive product uptake. The survey found that, in addition to market access specialists, senior management, sales/commercial, marketing and, to a slightly lesser extent, branding personnel are all involved in market access as part of their role. When responsibility for specific tasks in a company’s market access strategy was considered, of the 56 per cent of respondents who said they were responsible for the primary task of ‘Building brand/product value proposition/market access strategy’, almost 89 per cent were market access specialists, 89 per cent were brand managers, and just over 70 per cent were marketeers. Interestingly, 63 per cent of senior management also claimed involvement, reflecting the importance of market access within pharma companies. The survey looked at how respondents rated the importance of eight market access activities on a scale of 0–5. The top task they identified was ‘Building your brand/product value proposition/market access strategy’, followed by ‘Generating the outcomes and evidence needed to support your brand/product value proposition’, and ‘Effective communication of your offering brand/product value proposition to payers pre/during launch. • Regulators (23 per cent). Where does this leave the future of market access? The need within pharma for access to more real-world evidence was seen as paramount to assist in demonstrating value. Almost 80 per cent of respondents felt this would have a positive impact on market access. Companies must plan and integrate market access strategies earlier in the development process by ensuring, for example, that clinical trials have both clinical and economic endpoints as well as patient-reported outcomes. Setting up disease registries pre-launch or observational studies post-approval will provide platforms for data capture to provide information on the use of a product when it reaches the market. Importantly, industry also needs to view payers as customers and collaborators, working with them on the collection and use of healthcare data to improve outcomes for patients. The survey identified the desire within industry for improved collaboration between regulators and payers, with 70 per cent of respondents suggesting clearer collaboration would have a positive impact. New development processes, such as adaptive licensing and adaptive trials, were other important developments likely to positively impact market access in the future. Only when pharma companies seize the initiative and align their product development with the unmet needs of all stakeholders will brands successfully navigate the new demands of market access, payers improve the value of their spending, and patients receive the most effective healthcare treatments. To do this pharma must identify stakeholders’ priorities and motivations, collaborating with them to produce the necessary clinical and economic data, and building a convincing, data-driven narrative. Collaboration and integration of market access activities are key in this new landscape – the opportunities are there for those pharma companies that jump in and take them. 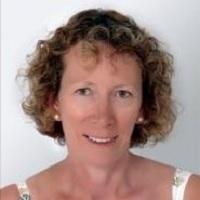 Jenny Hone is a freelance journalist with 22 years’ experience in pharmaceutical publishing.